CHARLOTTE, N.C., October 6, 2014 – Today, Charlotte middle school students showcased their kitchen expertise in an Iron Chef style competition in the Kids Cook with Heart cooking challenge. 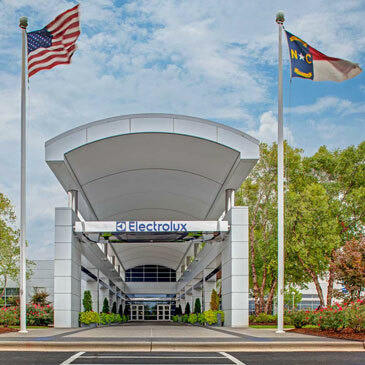 Electrolux and the American Heart Association (AHA) teamed up for this exciting program that provided key skills for students to grow into healthy adults. Designed to foster life skills in advocacy, leadership, responsibility and teamwork, Kids Cook with Heart underscored the importance of healthy cooking and eating with fellow students, friends and family. 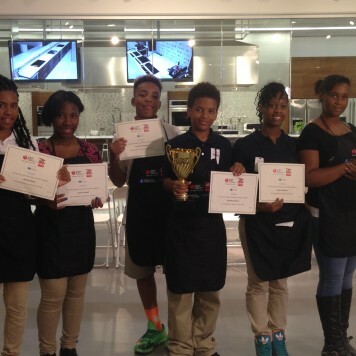 Three teams of James Martin Middle School students competed in a two-week program for a chance to make it to the final competition hosted at the Electrolux Innovation Center. Electrolux and AHA partnered with culinary professionals including chefs, nutritionists and health teachers to assist and instruct the classes. The judges taste tested and chose the 2014 winner from the final three teams. 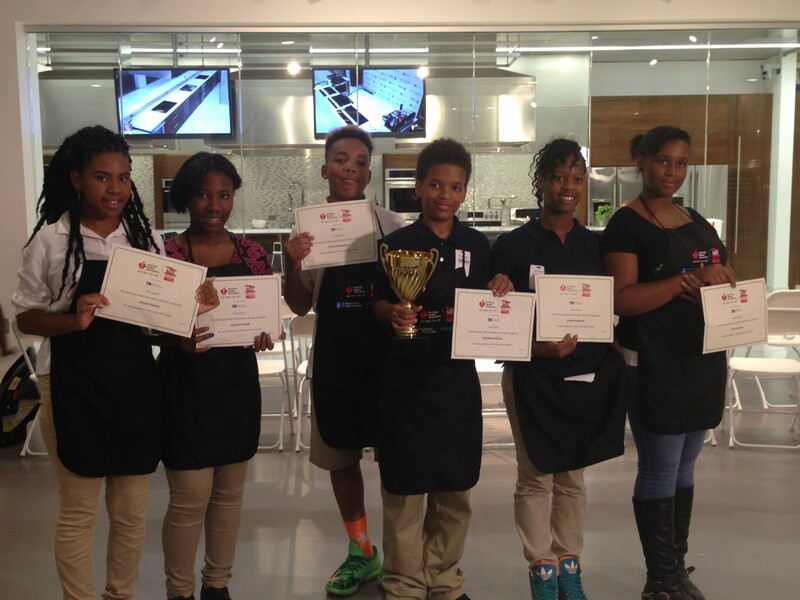 The finalists competed on Frigidaire Gallery® equipped cooking stations for a chance to win the 2014 Kids Cook with Heart championship title and take home a new Frigidaire blender. To learn more about Frigidaire Gallery and its full range of innovative home appliances, please visit www.frigidaire.com. Frigidaire Gallery® has been designed to help families make the most of their time and space with high-performing, easy-to-use appliances with time-saving features. To learn more about Frigidaire and its full range of innovative home appliances, please visit www.frigidaire.com. The American Heart Association is the nation’s oldest and largest voluntary health organization. Its purpose is to help prevent two of America’s leading killers, heart disease and stroke. The AHA is an advocate of good health, promoting positive behaviors, nutritious eating habits and healthy lifestyles. It also funds cutting-edge research and professional education programs.